For the next couple of weeks, I am going to post sketches called, “The Adventures of Little Cat,” a weekly series of a small cat and the adventures he gets in to. 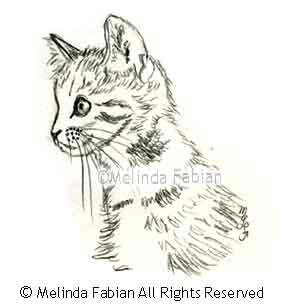 Each week will feature a new mini sketch with a brief description of what little kitten and his friends are up to. I think it will be a lot of fun!